Paula is currently Head of Prisoner Involvement at Prison Reform Trust. She leads on integrating prisoner voice and experience into the work of PRT, influencing policy, design, delivery and evaluation of services that affect those in the criminal justice system and ensuring that all policy and advocacy positions and recommendations from PRT are informed by lived experience insight. She leads the Prisoner Policy Network. She is a Steering Group member of Agenda, the coalition that seeks to support Women and Girls at risk, a Trustee of the Community Chaplaincy Association, and a current Griffins Society Fellow, researching the experience of mothers and families post imprisonment. She is a passionate advocate for highlighting the inequalities that affect vulnerable people in the criminal justice system. 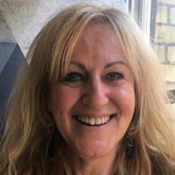 She was previously Head of Involvement at Revolving Doors Agency 2015-2107, Head of Programmes at User Voice 2010-2015, and in both positions has taken a lead on programmes for service user involvement in prison and probation, as well as forensic mental health services.